Blush Oro Bello charger plates. 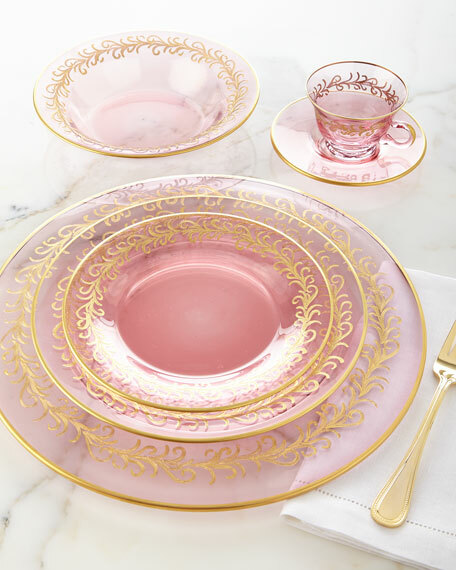 Beautifully hued blush glass with hand-painted 24-kt. 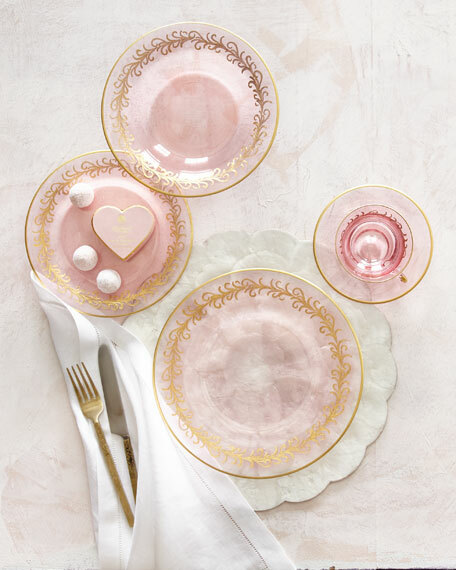 gold detail. 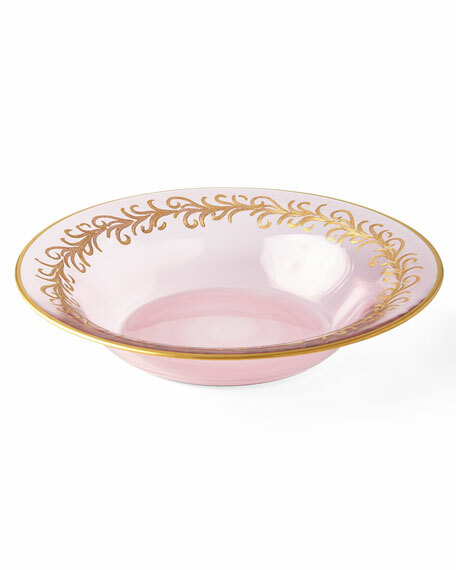 Blush Oro Bello soup bowls. Approximately 8.625"Dia. 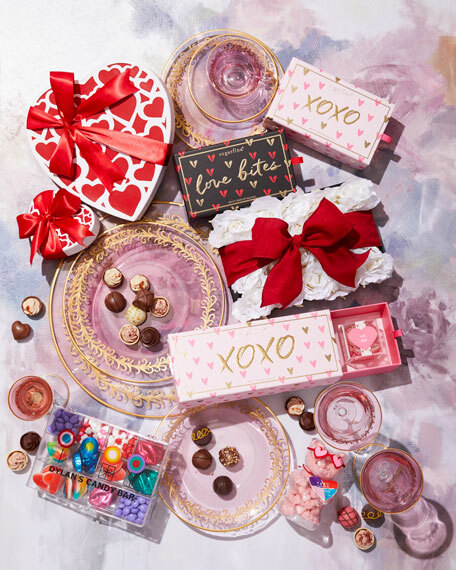 ; holds 20.28 ounces. 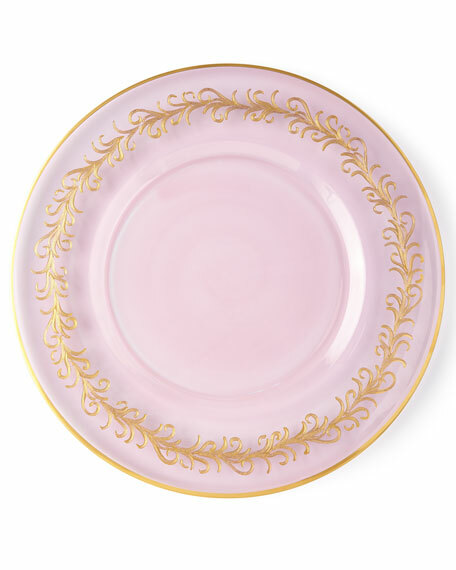 Blush Oro Bello dinner plates. 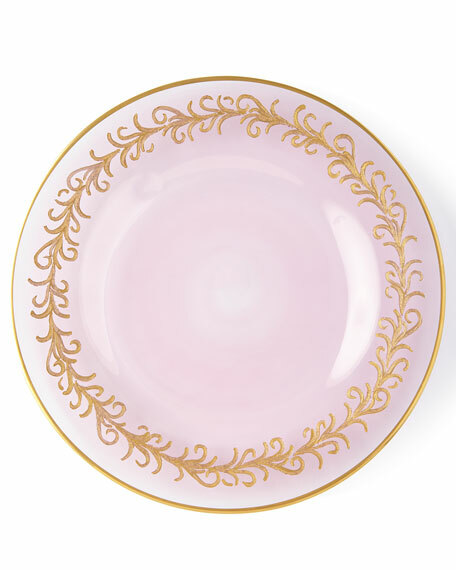 Blush Oro Bello salad plates.